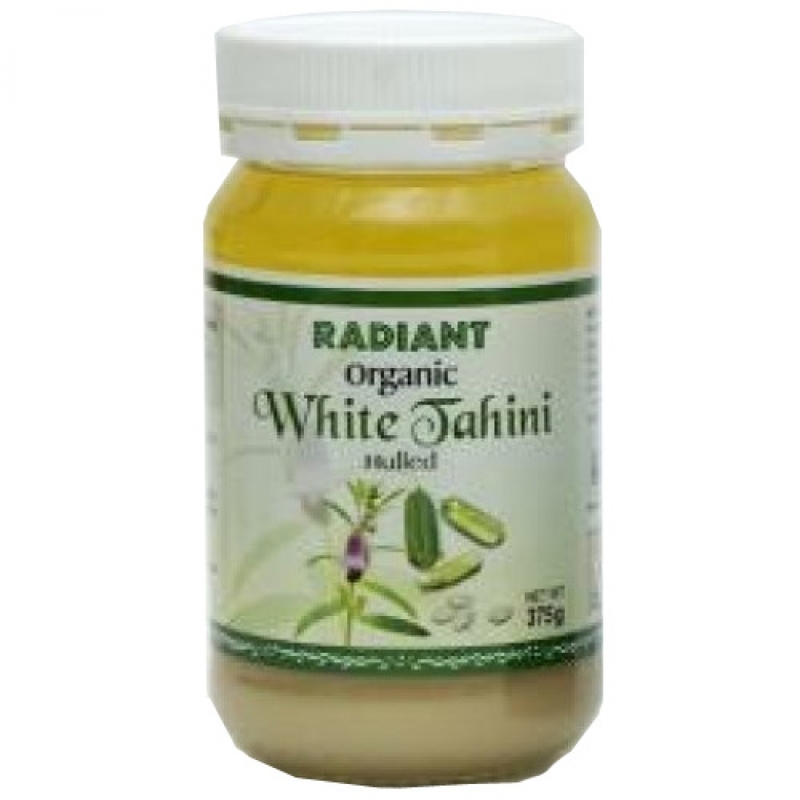 Radiant Organic White Tahini is traditionally stone milled and hand roasted by artesian techniques to produce a whitish, creamy and smooth tahini. It is pure and free of any additives or preservatives. This Tahini is naturally high in minerals and dietary fibre and can be spread on your favourite bread or biscuit for a scrumptiously filling breakfast or snack. Radiant Organic Tahini series can even be used in a smoothie to add texture and creaminess. ½ cup Radiant Tahini, 1tsp apple cider vinegar, ½ cup water, salt and pepper to taste and pasley. Mix all ingredients well. Mix it with onion, garlic or cayenne pepper seasonings to make a salad dressing. ½ cup Radiant Tahini, 2tbsp honey. Spread it on toast in place of margarine or butter. Great for cooking, salad dressings, soups, desserts and spread on bread or crackers. Use it as a sandwich spread, appetizer spread or dip with pita chips and sliced carrots and celery. Can be made as sesame “Tong Sui” by added in raw sugar and arrowroot powder. Tahini is best served at room temperature. It does not require refrigeration and it can be stored in a cool, dry place for long periods of time. Because tahini does not contain emulsifiers, the sesame oil may separate from the solid mixture. To remix it, turn the jar or can upside down for 30 minutes before using.